You can have an attractive accent for your living room decor with this storage ottoman. 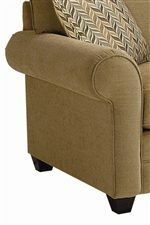 The piece carries a Chenille solid fabric, which has a tweed-like quality and features a boxed seat cushion that lifts, revealing storage space for blankets and pillows. Make your living room complete with help from this ottoman. 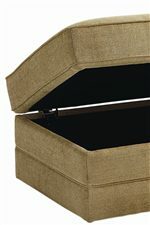 The Alex Storage Ottoman w/ Lift Top by Bassett at AHFA in the area. Product availability may vary. Contact us for the most current availability on this product. 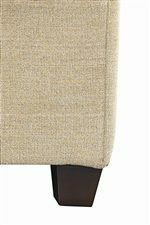 The Alex collection is a great option if you are looking for Transitional furniture in the area.